I have occasionally mentioned the idea of a double underline as a 'frame'. It is now very easily seen with the new presentation scheme I have refined from my original diagrams and the challenge of Jean Magné's Répétitions de mots et exegèse dans quelques psaumes et le pater (ISSN 0006-0887) which moved me to automate my approach into tables rather than diagrams. First there are the sequential recurrences a, b, c, d, a, b, c, d - such as is so obvious in psalm 114. These create a parallel line pattern in the table. Note also the immediate (or near immediate) repetitions that act almost like a double underline. In the above psalm 114, these are the first recurrence surrounding the single frame of Jacob and the last recurrences. In this case, the final pair of double underlines reads - from the presence of and waters. One could read this as "no degree of trouble (waters) can stand in the way of the presence of the Lord, the God of Jacob". Then there are the circles such as I have pointed out in psalms 22 and 51. Circles make an arrowhead > shape in the table instead of parallel lines. So Israel above circles the first occurrence of Jacob and Jacob circles most of the poem. (Note - parallelism in Hebrew poetry is a different but complementary concept to recurrence - the parallel in the table above is produced by the same root repeated in the poem, and not by the poet's choice of synonyms or antonyms). Psalm 16 has some circles. In psalm 16, the double underlines above read offerings - no!. In psalm 22 - here - it might read (with a little stretch for columns 41 and 42 the last two recurrences) the nations worship! How's that for prophesy! In my first trials, it seems possible to read almost a specific 1 phrase summary of the psalm from the closely spaced double recurrences. Perhaps in psalm 1 it says: The teaching leads to righteousness. Perhaps in psalm 2 with only one final double underline, it would read I myself. As we skip ahead and around over the next few months, keep an eye out for new ways of seeing these tables as insight into the poem's content. The compact view of my structural tables is preferable on all counts I think. If you wish to express an opinion - there is a side by side example here. I am debating whether to restart from psalm 1 with a third concurrent reading. Whenever I identify a change in gloss, it ripples through the psalms backwards and forwards. My notes are not extensive so it rarely affects them. Occasionally, it affects recurring words, and I have discovered new ones that I had missed. For the first 40 psalms I did not have my hand-typed concordance, so they need that revision, but I expect as I work by two pronged fork, I will meet most of the words in the earlier psalms as well. In a subsequent reading I would concentrate more on presentation as well as refining my minimalist comments. My concordance is effective at identifying accidental or unnecessary variation in glosses, but I still end up with some strange and unfamiliar sounding verses. I am currently working the beginning of Book 2 against the middle of Book 3. Could I stand refreshing my now quite out of date Open Source version? I don't know. Maybe I will wait till I get to psalms 50 and 100 and see if a three-pronged fork is needed. I think all I can strive for is a minimum of randomness. I would particularly like to avoid multiple Hebrew words resolving to the same English word. I don't mind as much if a single Hebrew word requires many English ones, because usually such a word is considered to be many different words (homonyms) in Hebrew or equivalently, because a single Hebrew word can be read in ways that a single English word could not. My son phoned me from Winnipeg. I picked up the phone. - Oh - you still there? I guess it didn't happen then. - I am just as glad to have been left behind. Would you like to talk to your mother? עֲלִילָה is a theme in the Psalter. You may remember the prodigal son - where prodigal is wanton, when it was the father who was prodigal of love where prodigal is good. See through it. It too is latticework. There are several similar sounding words in the psalms derived from עָלַל. If God is the subject, the word is good - perhaps rendered by prodigality. If the human is the subject, it is not good and is rendered by wantonness. Possibly the five occurrences that are prefixed with mem might be glossed differently, but then we would miss a connection between psalms 77 and 78 which I think is evident from their sequence and the usage of these words. If indeed we are to want nothing, then wantonness is a prodigality to be avoided, but the prodigality of God is a wantonness to be sought. Here is another real rapture - Beethoven Missa Solemnis - Rapture is a 12 / 8 time signature - making the world whole with rhythm - one can get wrapped up - rapt with laughing at spelling errors too. Good grief, as Lucy would say. The presence we need is and has been and always will be. If only we were not trying to figure it out and making the engagement of faith a laughing stock in the process. or try Song 5:1-4 posted in a hurry - not much time left! Rapture has never been a myth but neither is it to be calculated as if tomorrow were more important than today and especially without the cost of our conformity to the death of Jesus. Transparency is as I had earlier noted, a word that describes my goal as a translator. My goal is not 'meaning'. Meaning must be learned from the one who reads. I do use the tools of meaning but I can't impart it. I am more like a funnel than the material that passes through the funnel. To be a good funnel, I want not to clog up the passage, and I want to be easy to clean when I must be put back on the shelf. I am almost at the numeric half-way point in my project to do a concordant translations of the psalms. A full one-to-one mapping from one language to another is of course impossible. And there are times when I accept that. (distant grumbling). In the past 3 days I have made changes - usually small but in all cases significant - to 44 psalms (77 in the last week.) In the last 2 months, only 6 psalms have not had their translation tweaked. (I have changed 982 out of 2525 verses.) Yesterday was difficult because last week I had in error confused a couple of roots and I had to undo changes as well as do new ones. I was dealing the with word groups related to living, sitting, dwelling, residing, being a guest or a sojourner or a stranger. I know I made things clearer - easier to see through that lattice that we have been given. On PoC I have published psalm 42 and 43. In response to a post from Elizabeth at WIT, I have put up a preview of psalm 73 here. This is contrary to my disciplined policy of waiting three months but Elizabeth's post is too important and the psalm seemed to fit well. Perhaps our culture would do well to pay attention to the psalms and their affirmation as well as their correction of the fleshly reality that we take part in. Please feel free to point out errors in my glossary and question my translations and comments. The glossary that I have created has become a way of reviewing every decision I have made. I have been very slow with psalm 74 because several words in it raised questions for me about whether a decision on a gloss was good or not. It is really easy to scan for one psalm. Psalm 74 has 195 words. I can see them just by using find for '74.' in the browser. The unique roots and glosses just stand up and say hello. And the debris in the funnel can be seen and removed or clarified. -- No - no - not sparse. Please just tell me what it means so I can go away. Sorry - kid - sparse it is till you learn to look through the text as if it were a lattice and stop painting over the empty squares with your angry tears. -- OK. Give me a sparse lattice then - but strong enough to bear my weight. No - that's not a lattice, that's a fence. The Beloved peers through the lattice at you - why should you not peer back and be his presence? Why would you import a Moabite wife into the text? Haven't you been told that is certain death to import such strangeness, so many extra words? And why would you leave out the joins in the lattice as if your choice of what to leave out mattered more than the interruption of your vision by the frame? You need to move your head to peer at the Beloved. Then you will be enabled to judge whether you like what you see. Your accusations will evaporate in the space between the two of you. Job and Ruth are both satisfied. In their satisfaction, there is no accuser. I have in my ignorance written much on translation. My training is in precision. My love is not so definable. Joel is asking this morning if there is any value in a word for word translation. Am I going to go out into the garden and talk to my seedlings or write a response to all the theology I've seen on the web? Our study group has elected to study Ruth so I have today revised and reworked my translation from two years ago. The PDF is (was) here. That link is now music ! The text is here. The changes were slow to make, but now (2015) they conform to the same concordance as my translation of the Psalms (2013). There is also a translation here, part of the Knox Bible, that is at the other extreme of style. Tim has also posted from Ruth on his series on humour in the Bible here. A young widowed woman, an outsider technically forbidden to enter into the house of Israel: Ruth seems an unlikely figure to star in her own book of Torah. 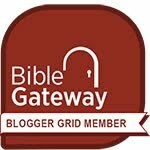 I have after 4 months and 41 posts on book 1 of the Psalter posted here my Dickensian storied summary of that book. Each psalm title is largely comprised of the first usage recurring words in that psalm. The summary is a slightly whimsical look at each psalm. There will be if I finish, 150 such bits of whimsy - but they will appear slowly so as to have the requisite meditation time. Today, having for the most part recovered from Blogger's hiatus, I completed my draft of notes on Psalm 72 and the whimsical summary of book 2 - but it must survive 3 months of review before it gets posted. In the meanwhile I will move towards that great lament at the end of book 3, one psalm at a time. The Psalter is beginning to sink in to my thick skull. With respect to recovery, I was able to review all discrete translation changes from the last 7 days. I also posted another 200 or so modifications and adjustments to roots and glosses in the glossary where I am sort of up to H in a sequential review. I have two approaches to dissecting and correcting the glosses. 1. as I draft each psalm's notes, I review the chosen glosses. 2. I review in sequence till I am too tired to see straight. I think I may read BDB in sequence (just kidding). I don't pay attention to a lot of things: modern atheists, young earth creationists, and battles over law vs grace, at least not any more. But Claude Mariottini has noted in a post an essay by Christopher Hitchens that is very touching. The essay quotes some of my favorite authors. Illness - it has hit me in various ways. I do a specialty on brain damage. God knows me very well. There are huge issues with governance and law and permissions that we have not solved in our terrorizing biases towards each other. I do not hide from the Invisible. Hitchens would say there was no Invisible to hide from. But I read Bertrand Russell when I was a child and I expect Hitchens has nothing to add to his arguments. Arguments are futile. Russell was right. And so are lots of Christians, Jews, and Moslems, and others too. So what. Is there a point at which the distraction of being right will give way to the joy of being loved? I also love Britten and Auden and Eliot - which some would not allow for 'religious reasons' whatever that phrase means. No, Beloved, law comes out of love and policy out of the engagement in faithfulness with the Invisible. This is the one who shows you what you see and what you have not seen. This is the one whom you hear in a form of words without sound. Illness - it appears at the end of Book 1 in the psalms. (Perhaps.) They say psalm 38 is about illness. But I think it is more about presence in guilt and memory. As an atheist, this conclusion might be comforting. when will he die and his name perish? I did not know it, but I had just been given my final exam by my teacher. And I passed - quite well actually - an A, I think. But don't press me. I was reading Jonah chapter 3 this morning in Hebrew with no helps. I am quite slow, but I read just to the phrase וְנִינְוֵה הָיְתָה עִיר גְּדוֹלָה לֵאלֹהִים roughly put - and Nineveh was a great city לֵאלֹהִים - and I said - hey I've never noticed that word in the text before - what's God doing there? And I asked: Is this a place where אלֹהִים means gods or something? And I thought that maybe it meant that the people of Nineveh were strong or fearful etc. But then I thought about the psalm inscriptions and in a moment of light, I realized it meant that this great city belonged לֵ to אלֹהִים. Why not? I had noticed also that the repetition of the word of יְהוָה to Jonah was rephrased the second time. Christensen notes the change of letter from ayin to alef in the preposition. I think he is right that this signifies a change from a word against her עָלֶיהָ to a word to her אֵלֶיהָ. God is not far from the enemy, his sword, or from the Gentiles. I got this one right almost by accident. After 5 years, I don't read fluently in Hebrew, and I still need a dictionary, but less than before. Still reading slowly is good and the dictionary reveals more the more you use it. If I keep it up, I will eventually read fluently, I am sure. Anyway, Jonah, which I had not read in Hebrew before Sunday, was the final exam. I spent roughly 20 hours getting it into the database, translating, drafting, and posting. That's longer than a 3-hour exam. Psalm 41 is available at PoC. So Book 1 draft has been put out on that blog with discipline for 4 months now. That's the longest any New Year's resolution ever lasted for me so far. I hope to continue. I am just in the process of drafting the notes on psalm 72. So Book 2 draft will be completed this week. 78 more to go before October. It's possible: 4 months - 20 per month with a 3-week break in August for a trip across the US from NY to Seattle via train including Washington DC and the Santa Fe Opera. I have written many books and most of them have been composted, layers and layers. I wonder what will come from this soil that I just keep cultivating, digging, and weeding. Don't get me wrong - my toil has its rewards. But can it also be useful to others? עמלי יש התגמולים שלה. זה גם יכול להיות שימושי עבור אחרים? That is a Google translate - not bad eh? But it hardly has the compactness of Biblical Hebrew. O software and management of releases - how hard you strike! A 24 hour down with blogger. A respite. Blogger is now back up - they lost two posts of mine and a few sidebar updates and probably a few deep updates in various places that I will eventually find and fix or ignore. I may restore the posts (still on Google reader) - probably with selective updates. Some missing comments too... and for once I almost had a conversation going. Oh well. That may not be the point. Christensen has identified גדל as a significant framing factor in the overall structure of Jonah as Tim suggested in the podcast here as noted in the post on chapter 1 of this series. Here is a table of keywords that recur frequently or that seem to me to frame the book as a whole. Need to come back to this one in more detail later to see if such a table can help identify structures of this magnitude. But read how Jonah is already in the fish Nineveh in the paragraph on page 2 of Christensen - it is hilarious! It is curious how similar the words Jonah and Nineveh are in Hebrew. All one needs to do is remove the initial letter nun from the word Jonah (יונה) to get Nineveh (נינוה). At this point a simple transposition of the two middle letters gets us to ינוה. In short, Jonah is already in Nineveh—all you have to do is remove the “fish” (i.e., the initial letter nun). The very word Nineveh is an invitation to tell a story about Jonah and a fish that 'houses' him. Does Jonah chapter 1 have a recurrence structure? With whom do we contend?